Many horsemen believe the shorter five-day race week trumps the potential added expense associated with a longer meet. Most horsemen welcomed the additional week of racing at Saratoga, announced by the New York Racing Association on Thursday, believing the shorter five-day race week trumps the potential added expense associated with a longer meet. NYRA announced that this summer’s Saratoga meet will consist of 40 days spread out over eight weeks, compared to the same number of days run over seven weeks, as has been the case since 2010. Saratoga’s meet will begin on Thursday, July 11 and run through Sept. 2. The first week will have four days of racing, the next six weeks will have five days with Mondays and Tuesdays dark, and the final week will be six days, ending with a Labor Day holiday card. Previously, Saratoga raced six days a week, Wednesday-Monday. Saratoga was the last track to conduct racing on a six-day week. The additional week of racing does figure to increase expenses for horsemen who ship in from other jurisdictions or those who don’t own homes in Saratoga. Though Kentucky is expected to have larger purses at both Churchill Downs and Ellis Park this year, most Kentucky horsemen are still expected to maintain a presence at Saratoga. Joe Sharp, who stables about 30 head in Saratoga, said he’s in favor of the extended meet, even if it means added cost. Linda Rice, who is based in New York, said she welcomes the five-day race week and the elimination of Monday racing at Saratoga. 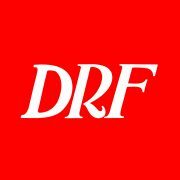 Gary Sciacca was the lone trainer Daily Racing Form interviewed Thursday who expressed reservations about the extended Saratoga meet. NYRA officials, in a press release, said the impetus for an extended Saratoga meet this year is because of the expected start this spring of construction on a 19,000-seat arena on the Belmont grounds intended for the NHL’s New York Islanders. The arena, which needs to be completed by October 2021, will take up a sizeable portion of the backyard. However, NYRA officials have long wanted to try a five-day race week at Saratoga, believing it will help the meet. The extended Saratoga meet means there will be less racing at Belmont Park. NYRA announced Thursday that the Belmont spring-summer meet will have 48 days (April 26 through July 7), six fewer than in 2018. Panza said it was too early to determine whether any dates will be added in the fall.